Typically, Buffalo chicken isn't the healthiest option, since it's usually breaded and fried. This slow cooker version is a delicious alternative! 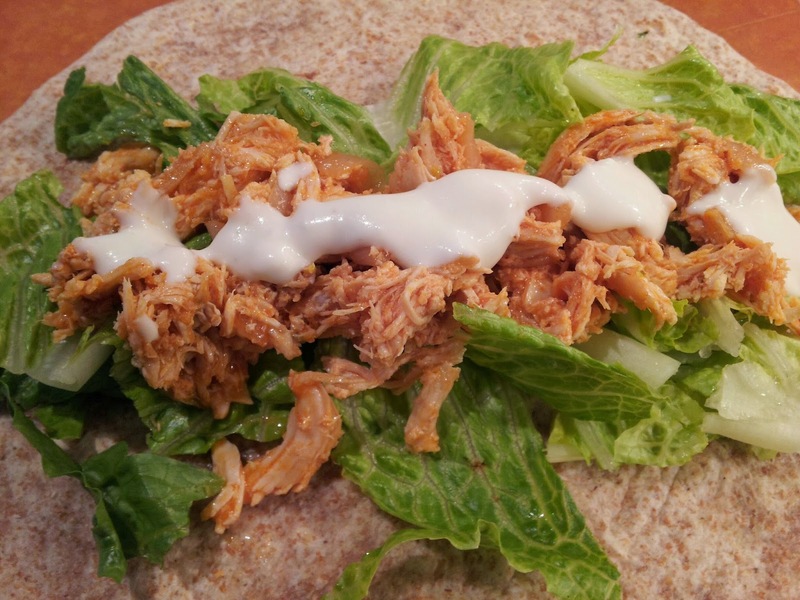 Blue cheese dressing or ranch dressing can be used to top a wrap or salad. 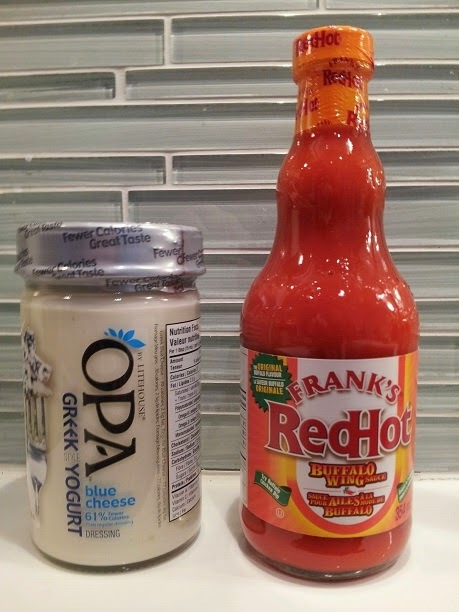 I was able to find blue cheese dressing made with Greek yogurt instead of mayo/soybean oil. Note: The sodium content is quite high on this recipe, due to the sodium in hot sauce, so if you are on a low-sodium diet, I do not recommend this recipe. Sprinkle diced onions and minced garlic in slow cooker pot and place chicken breasts over top. Pour chicken broth over chicken breasts and season with black pepper. Put the lid on and set to high heat for 4 hours. With 30 minutes remaining, remove the lid, and break the chicken pieces apart using a wooden spoon so they are shredded. Add hot sauce and replace the lid. Cook for remaining 30 minutes.